Sometimes you meet someone it’s hard not to envy – Matt Harris falls neatly into that category. Here’s a man who’s fished and photographed some of the most incredible locations throughout the world, combining his career as an advertising photographer with a neat little sideline in fishing photography. 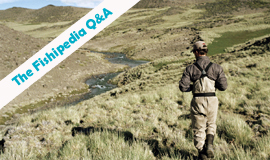 Have a little run-through of your bucket-list of fishing destinations… chances are Matt’s been there, caught the fish and taken the picture – from the wilds of Russia to the flats of the Bahamas and pretty much everywhere in between. He’s earned the right, though – if you’re a magazine editor and you need someone who can nail that perfect piscatorial shot, capture the essence of a location, Matt’s one of the first names on your go-to list. 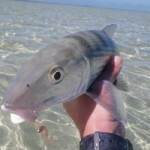 Take a little tour through his online portfolio (www.mattharrisflyfishing.com) and you’ll see why. 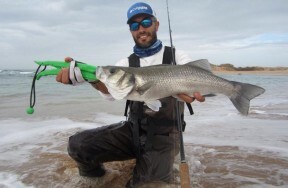 Matt, you’ve fished and photographed all over the world – do you have a favourite destination? A tough question! 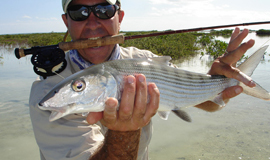 I love fly-fishing for almost anything, but favourites include the magical archipelago of Jardines de la Reina off the southern Cuban coast for permit, tarpon, bones and snook, wrestling with the massive GTs and dogtooth tuna of Cosmoledo & Providence in the western Seychelles and the fabulous top end of South Island New Zealand for whopping browns and rainbows. 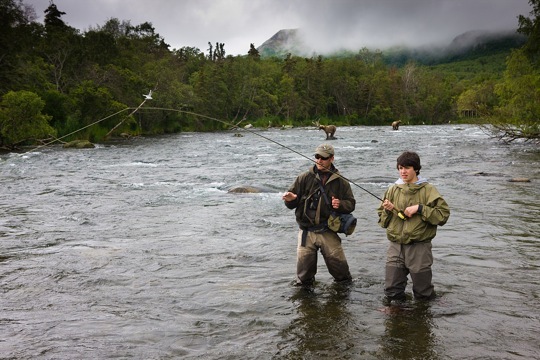 However, despite the fact that unlike all these others, the fishing is blind, heavily dependent on luck and ridiculously expensive, I’d choose the formidable Yokanga River on the Northern Kola Peninsula for its huge and titanically strong Atlantic salmon. Is there anywhere you haven’t been yet and can’t wait to go? I’m heading out to Mongolia to photograph and fish for taimen for the first time in September and it looks like one of the last true great wildernesses left on earth. 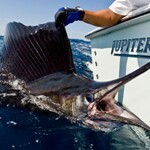 I’m also hoping to fish for sailfish and possibly marlin in Guatemala later this year and it looks just about as mad as fly-fishing can get – I can’t wait to do either! I want to pick three. The first is not the strongest or the most striking, but is an image of my oldest son Charlie enjoying a red-letter day on the Brooks River in Alaska with his brilliant guide Chris from world-class No See Um Lodge. Charlie is surrounded by 10-foot tall coastal brown bears, but is oblivious to them all and utterly fixated on landing the first of a whole heap of stunning wild rainbows that he managed to hook on a dry fly. The picture just makes me smile more than any other. 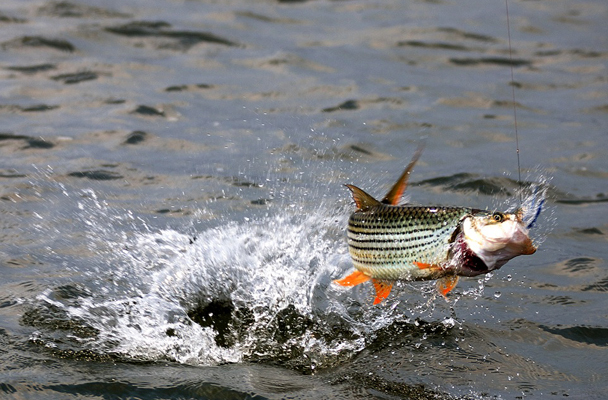 The second is a high-flying tigerfish on the Zambezi River (below), fishing out of Royal Zambezi Lodge – it just seems to sum up the wild, savage exuberance of one of the world’s great sport fish. The third is a picture of the Lyliok Pool on the Yokanga River in Northern Russia (below). It is just my favourite place to fish anywhere in the world. 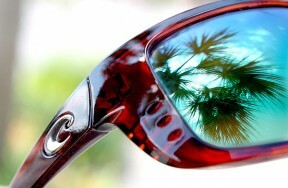 It’s a beautiful shot. 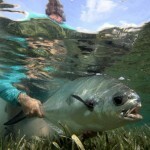 What’s the secret to the best fishing photography? 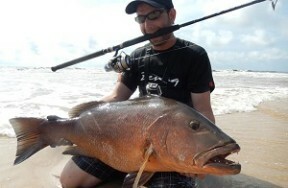 Possessing the sensitivity to anticipate those special moments and the discipline to then put down your fishing rod! 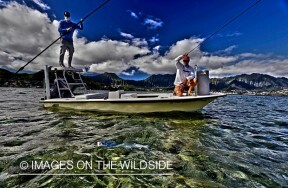 Do you tackle fishing photography with a different approach than other forms of your work? Yes – as well as making fly-fishing images, I photograph babies and kids for advertising in London, and it is a rather more frantic experience. While the two disciplines are miles apart, they both rely on capturing the decisive moment and allowing the viewer to feel some of the magic that the photographer has been lucky enough to witness. 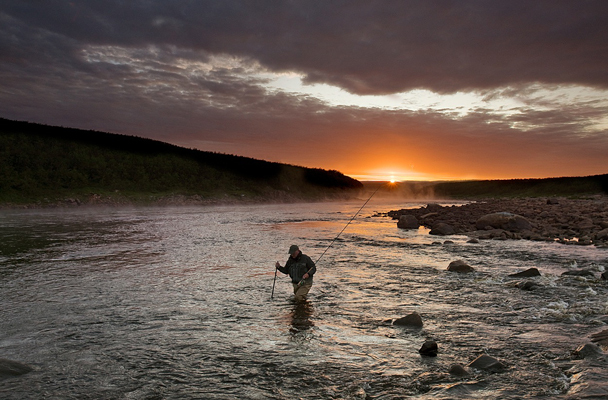 Picture the scene: bonefish tailing in the early-morning sun, sunset over the Kola Peninsula… is it sometimes difficult to know whether to pick up the camera or the rod? Is there a shot you missed that still haunts you? Yes! 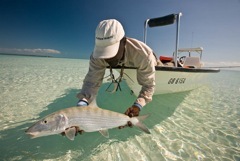 A ‘grip & grin’ shot of my brilliant guide Leroy and the massive bonefish that we hooked and then lost at North Riding Point, Grand Bahama last March. Here’s Leroy and one of a dozen beauties we DID manage to land on that golden day. What’s the strangest thing you’ve seen on a fishing trip? One of my absolute favourite guides, the one and only Arno Mattee, turning a bizarre and sickly shade of green as I drew an impossibly large barracuda towards our skiff in Providence, Western Seychelles. Mercifully, the huge beast – estimated by Arno at possibly 90lbs – chomped through the leader before my relieved guide was obliged to deal with it. 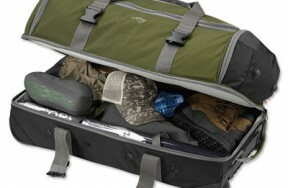 Camera, fly rod, boarding pass… can you tell us one other thing you never leave home without? 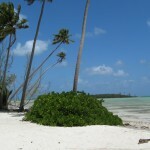 A basic grasp of the language – one of the best and most enjoyable facets of any trip is being able to communicate and laugh with the local people and in particular the guides. It’s just a simple courtesy and is so much appreciated by your hosts. Folks who don’t have any of the ‘lingua franca’ miss out on so much, so make sure you have at least a smattering of the local language before you go on your next trip. You’ve got one day left to go fishing. Where do you go? I’d forego the fabulous Garbonakken Pool in the Alta’s stunning Upper Canyon in Northern Norway and stick with the river that has given me more thrills and spills than any other – the mighty Yokanga River, Kola Peninsula, Northern Russia.